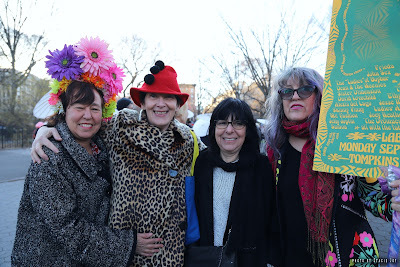 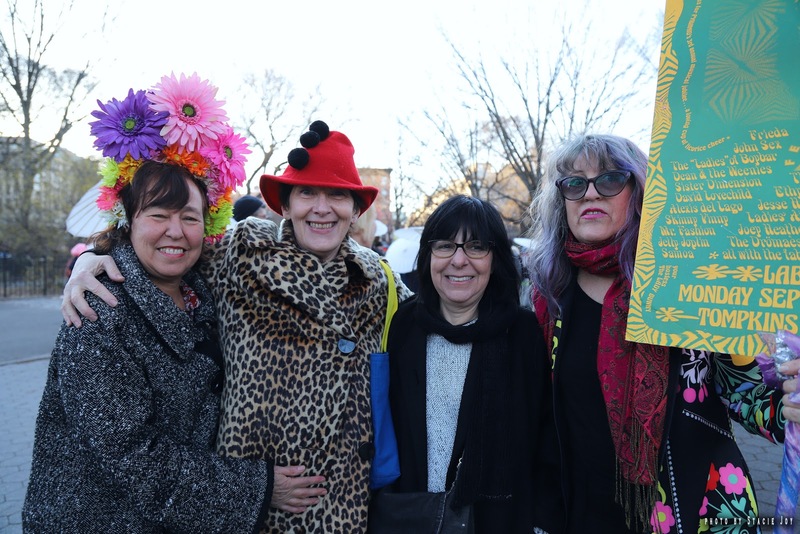 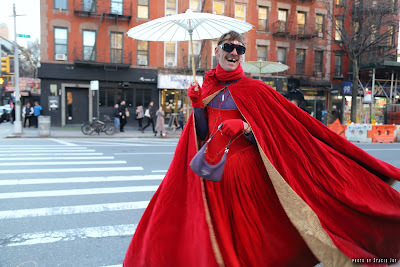 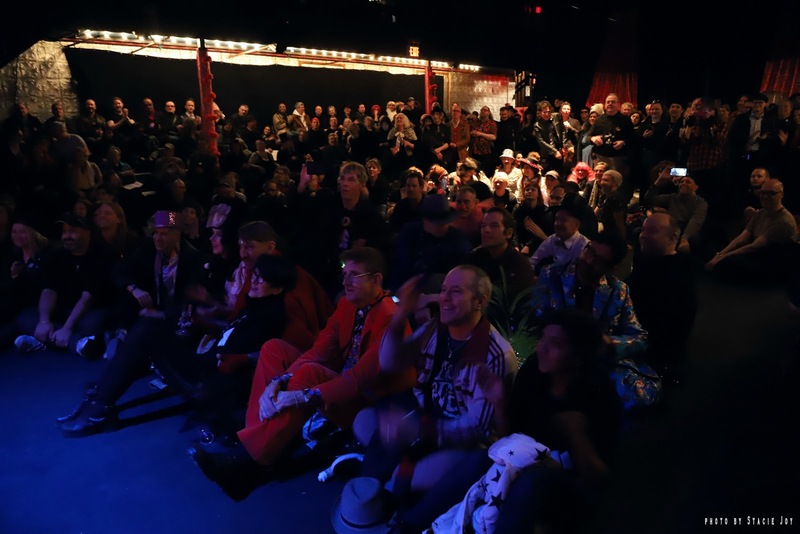 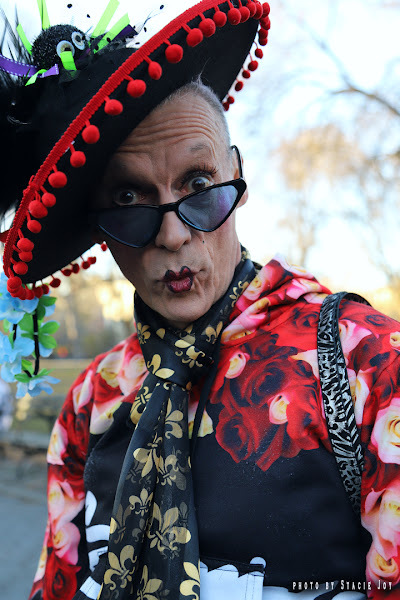 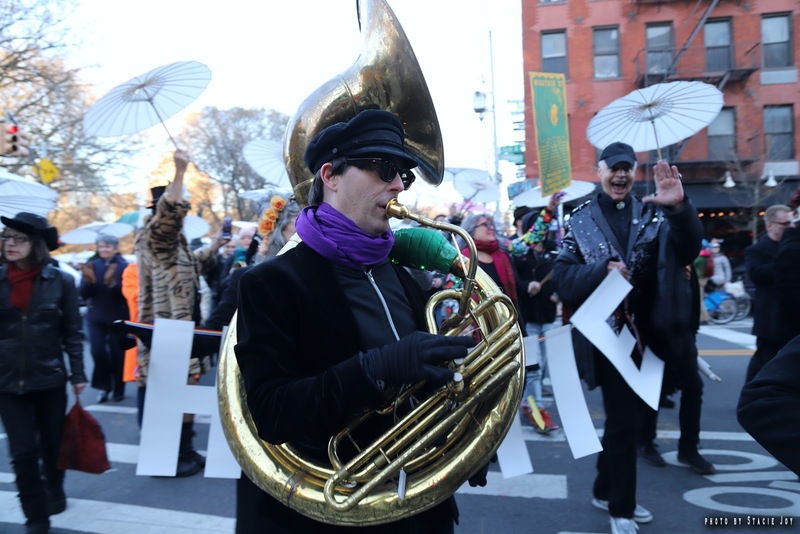 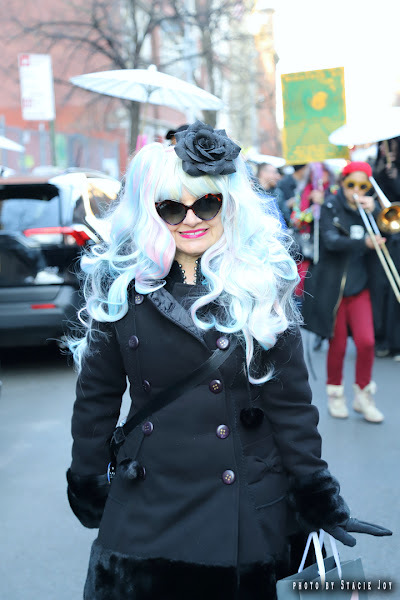 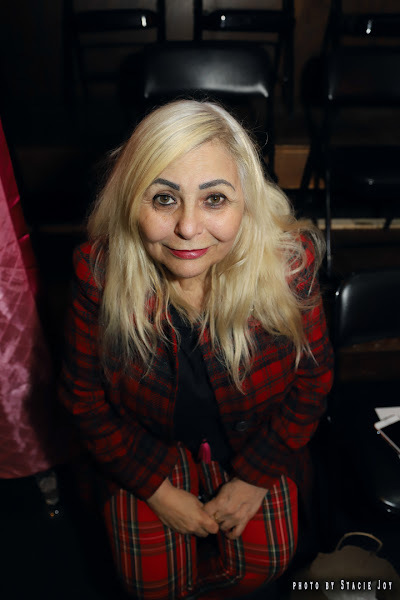 On Monday night, friends of Hattie Hathaway, aka Brian Butterick, gathered in Tompkins Square Park for a festive sendoff for the gay cultural icon who died on Jan. 30 from lung cancer at age 62. 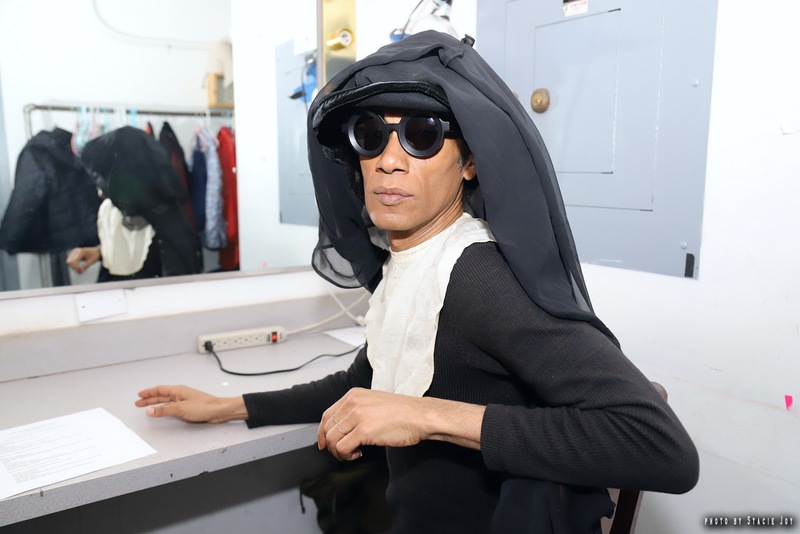 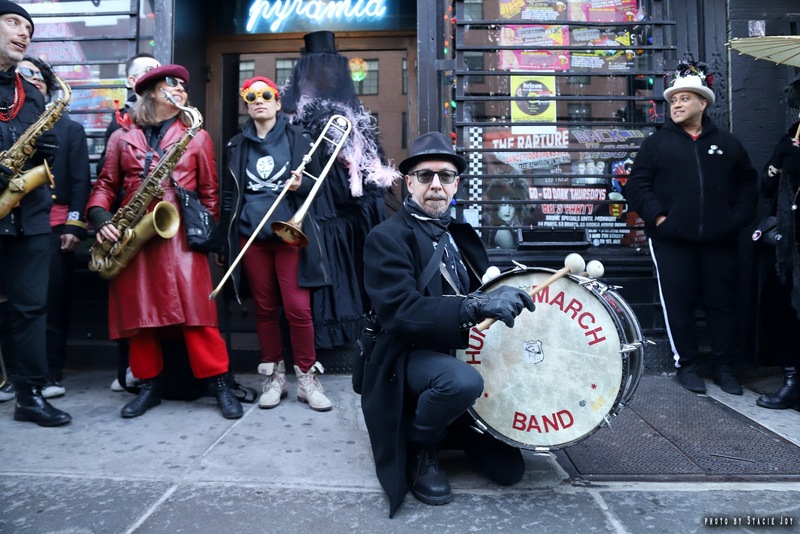 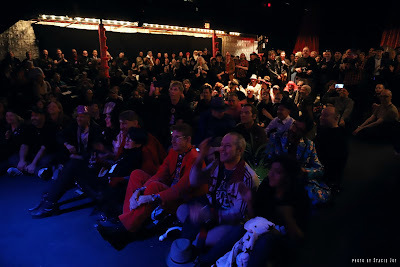 From the Park, the group — stretching nearly a block long — marched through the East Village to La MaMa’s Ellen Stewart Theater on Fourth Street for a "night of memories, performance, dancing and celebration." 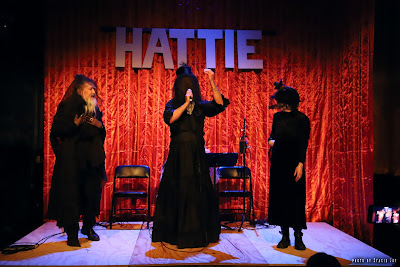 "When [Howl! 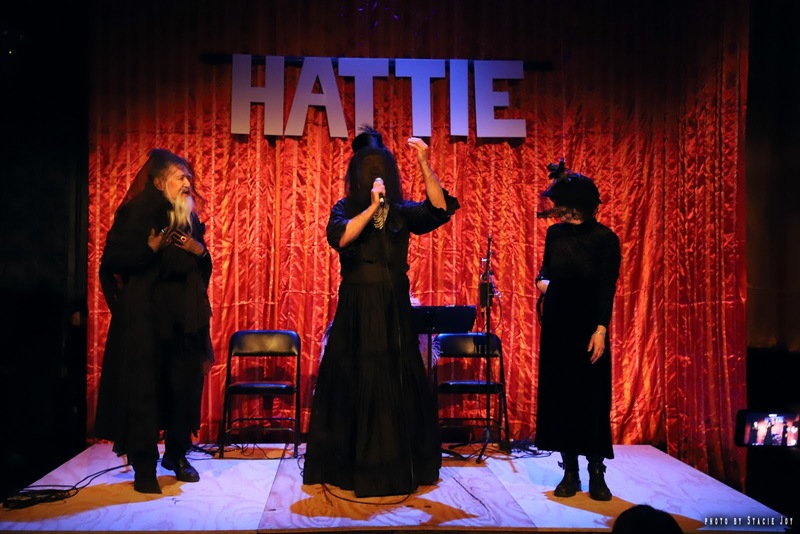 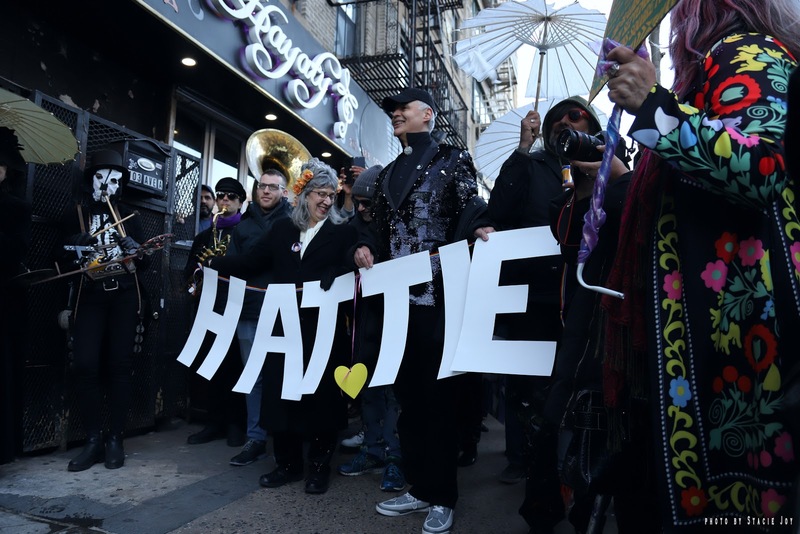 Director] Jane Friedman approached us about helping to stage a big public funeral for this figurative and literal giant, we knew in Hattie's spirit it had to include the East Village community. 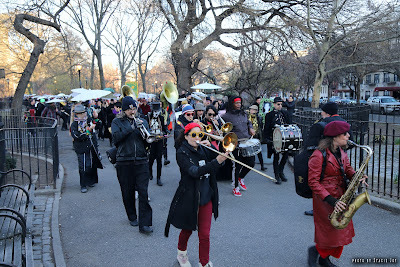 We organizers were inspired by the Drag March every year from Tompkins Square during Pride weekend, and decided to add such a procession. We did part of the planning from our second home in New Orleans, so naturally the Second Line tradition was also an inspiration as were the LUNGS community garden parades in the East Village that Hattie so loved." 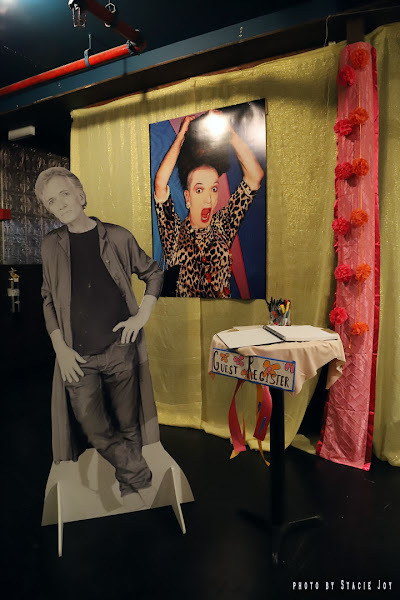 At LaMama, the full house enjoyed a three-part program with a variety of poems, tributes as well as spoken word and musical performances. 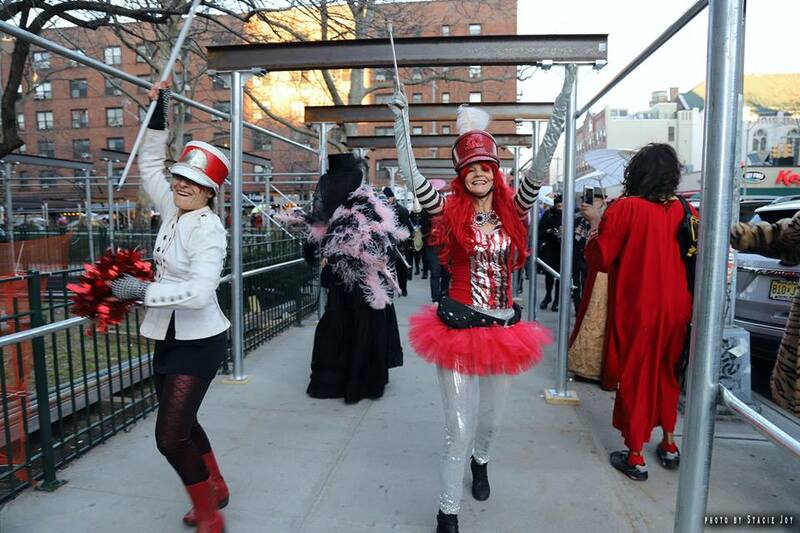 As one participant said, "It was a sendoff fit for a queen."